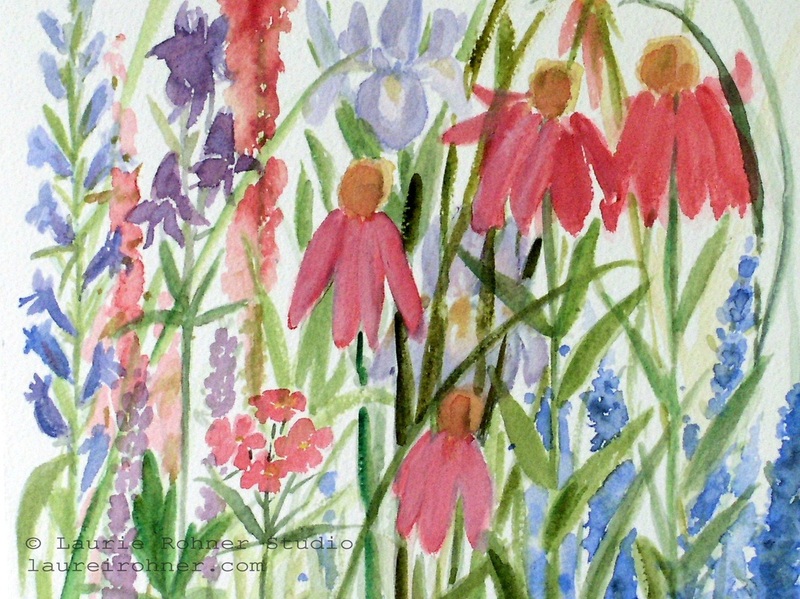 Original botanical garden flowers watercolor painting a colorful assortment of wildflowers herbs and garden flowers titled Summer Cottage Garden is nature art by Laurie Rohner. 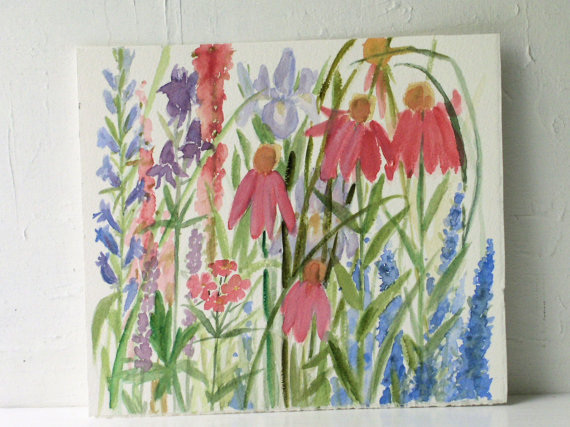 I painted larkspur, lavender, coneflower, flax seed, grass, wildflowers, phlox to name a few. 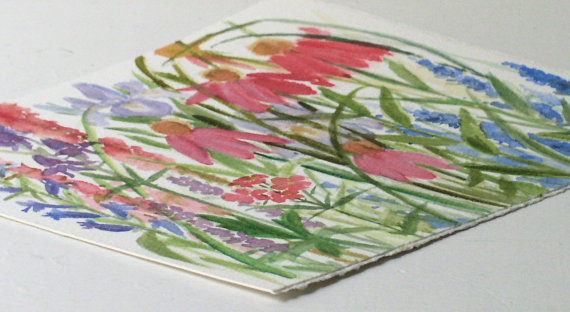 These flowers will definitely make you smile. 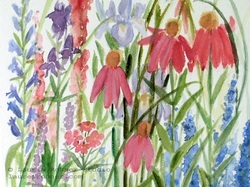 Palette: petal pink, soft cream, red, raspberry, deep green oxide, green, yellow, soft green,lavender,sky blue,purple.